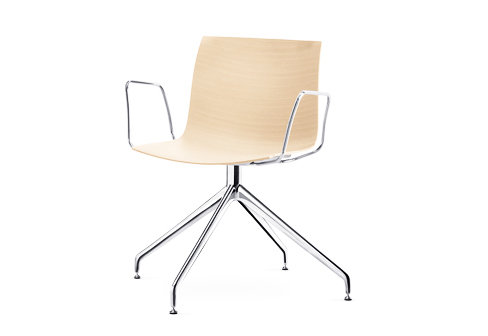 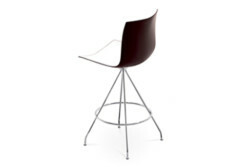 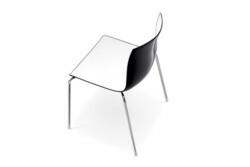 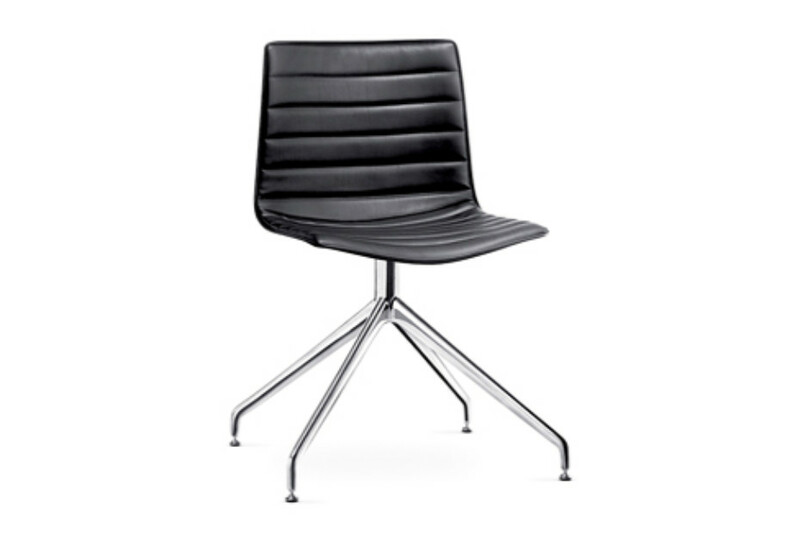 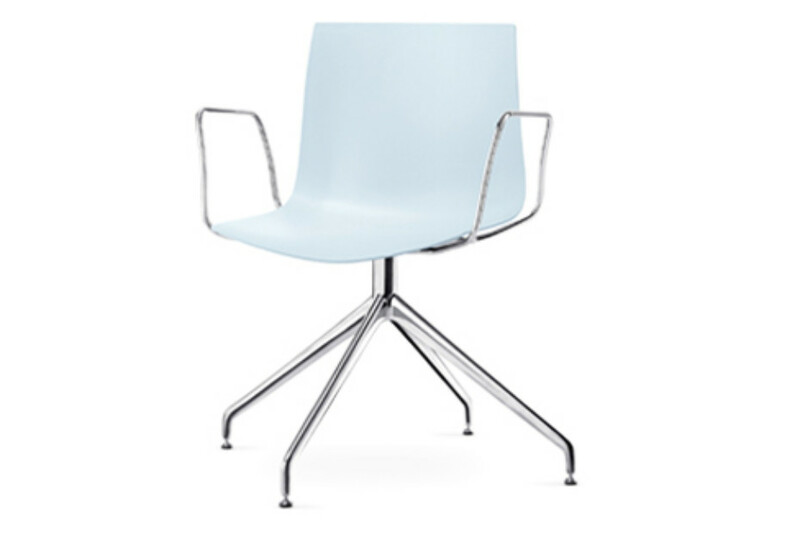 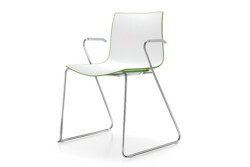 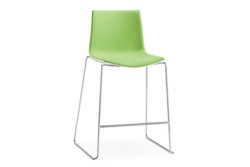 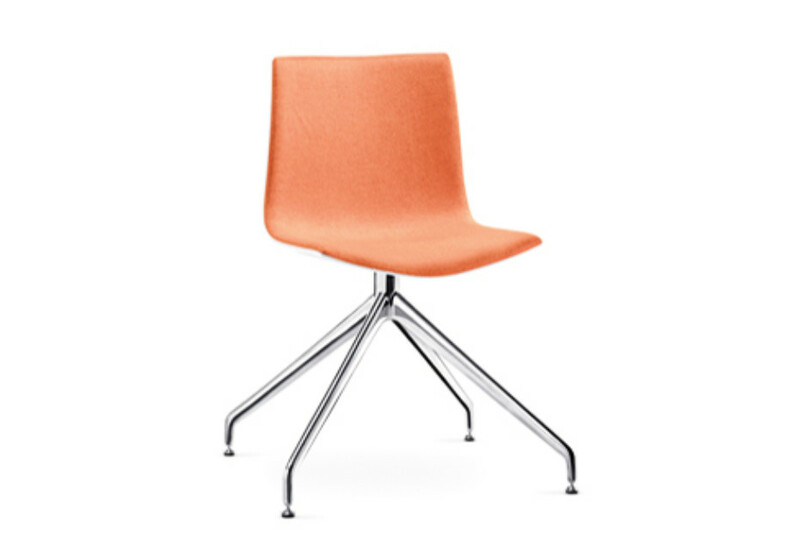 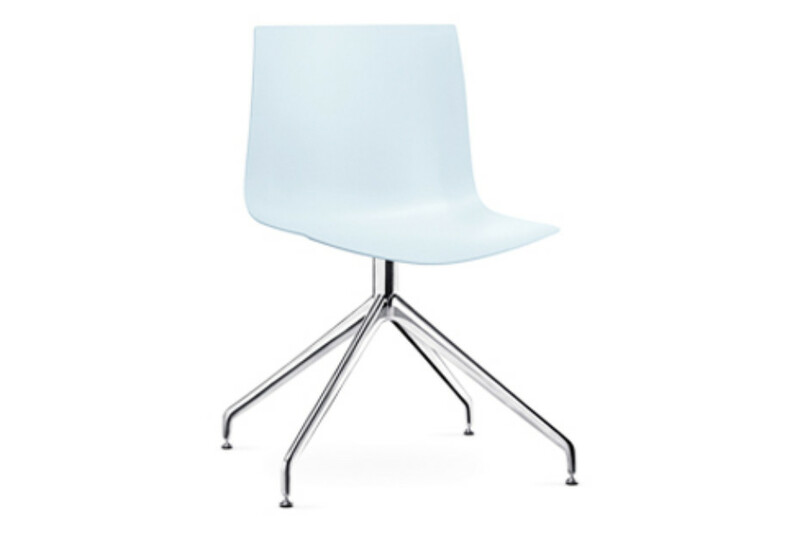 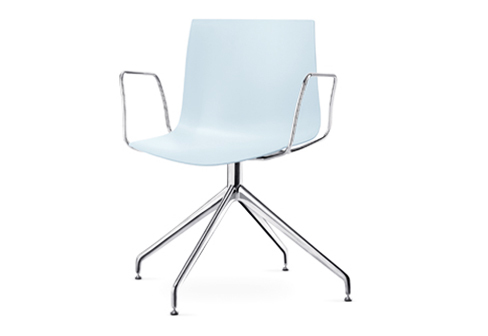 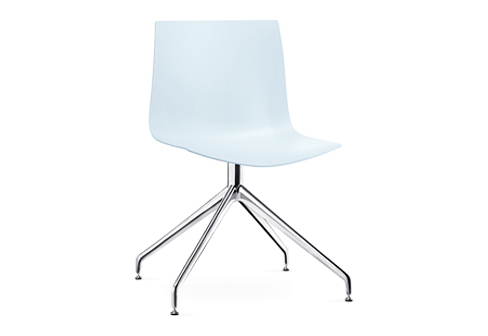 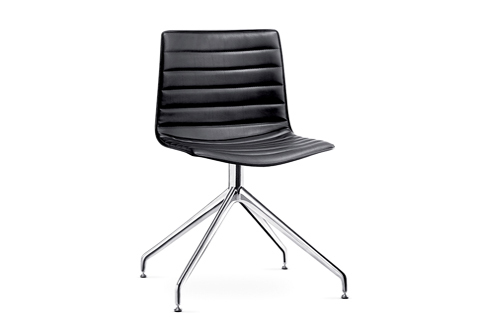 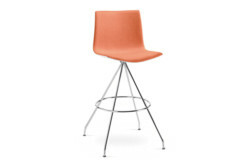 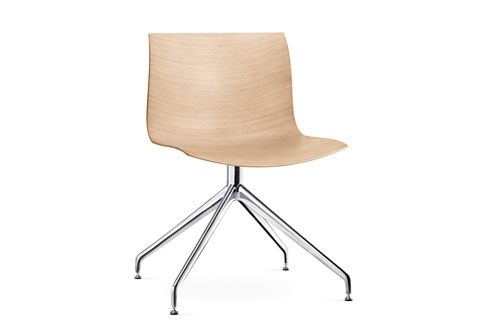 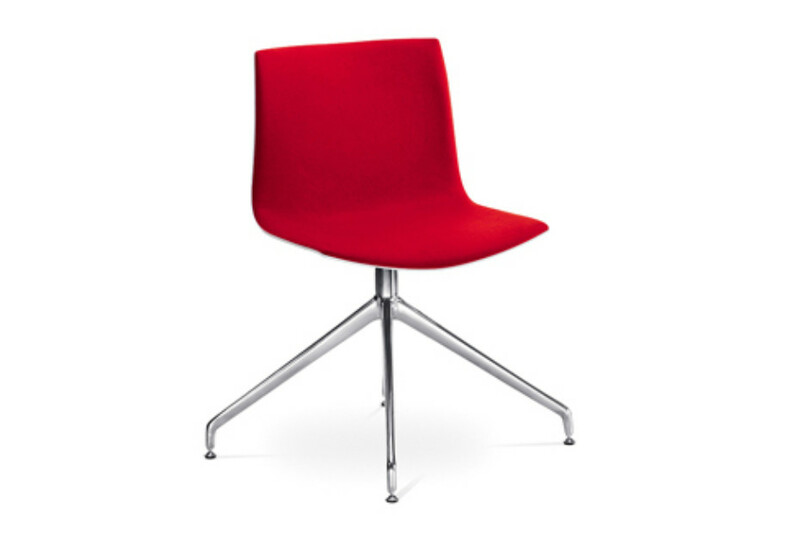 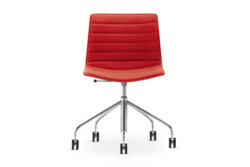 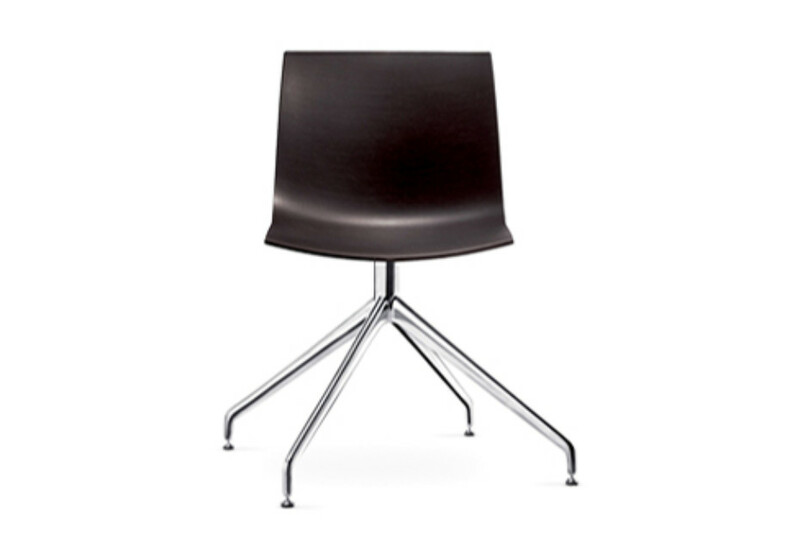 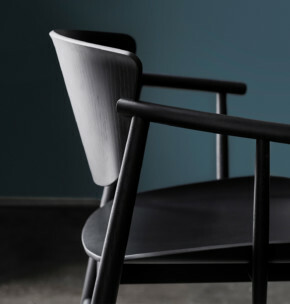 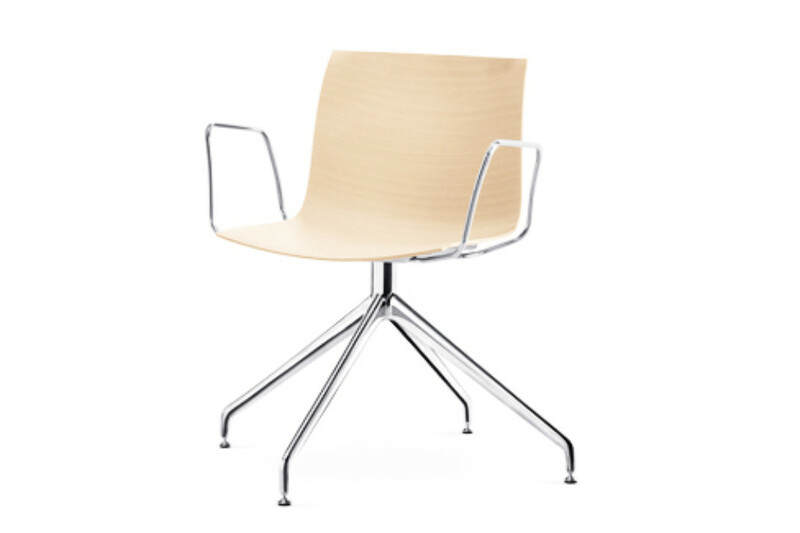 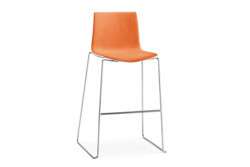 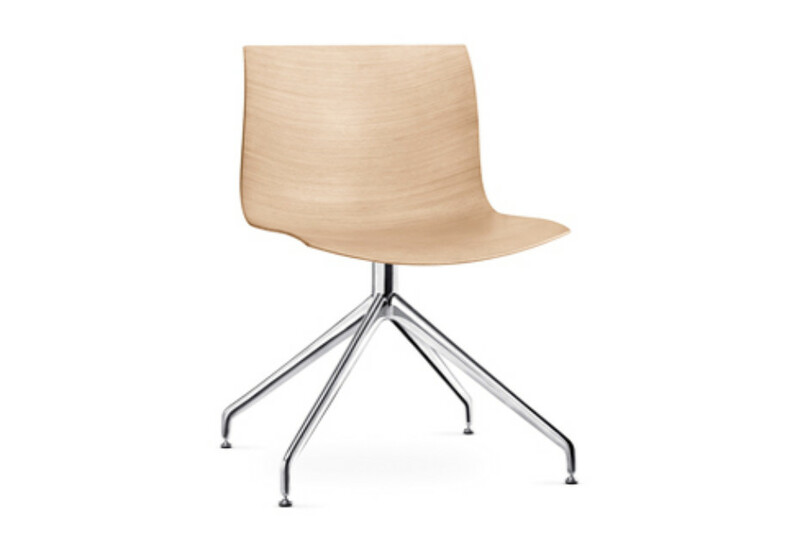 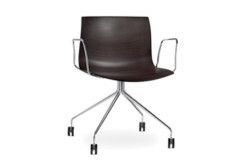 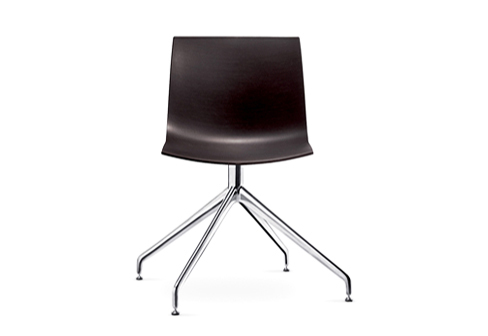 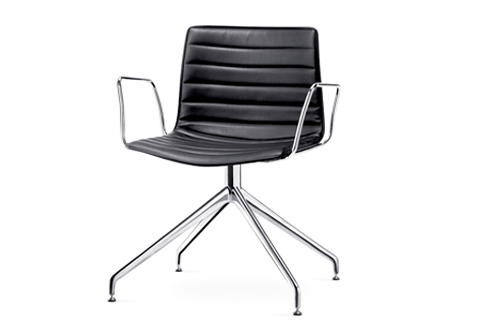 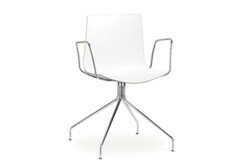 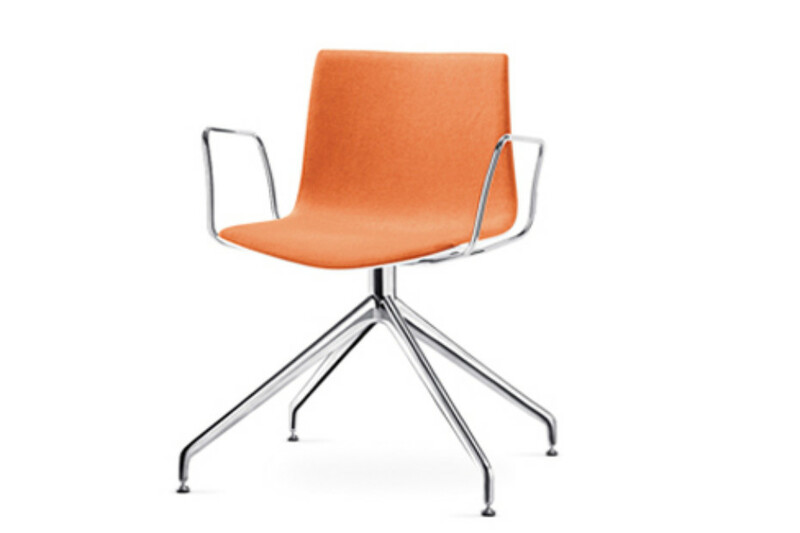 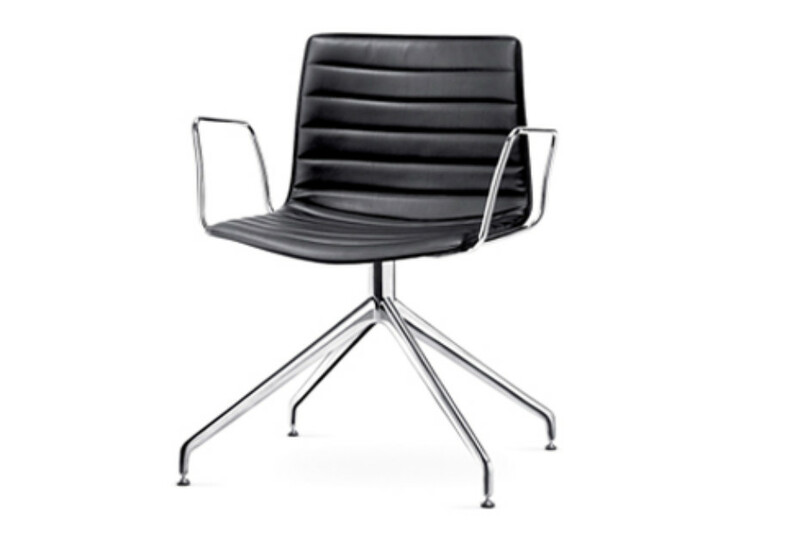 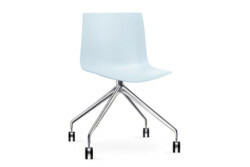 Chair with trestle swivel base, in polished or painted aluminum. 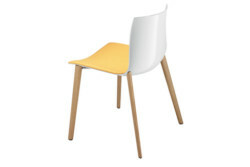 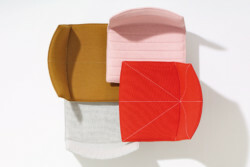 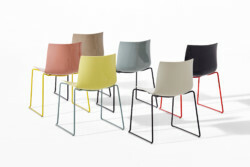 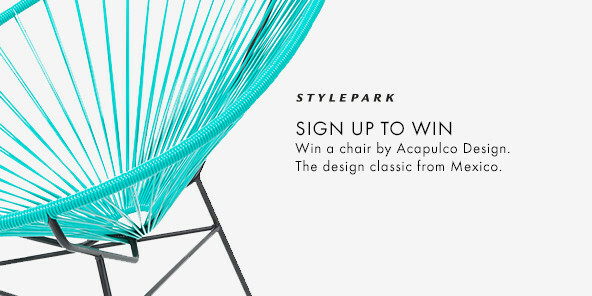 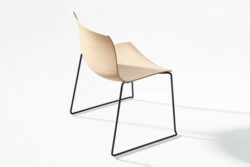 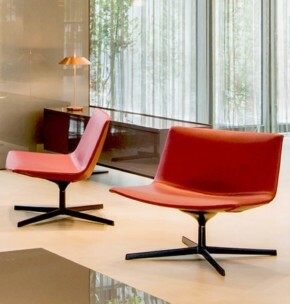 The shell is available in single-color and bi-color polypropylene (ColorBi®) also with front face or cushion upholstery in leather, faux leather, fabric or customer’s fabric; upholstered shell in two grades of hard leather; fully upholstered shell in leather, faux leather, fabric or customer’s fabric; wood shell, in three color finishes, also with front face upholstery in leather, faux leather, fabric or customer’s fabric; white polypropylene shell (PO101) fitted with non-washable removable cover in fabric, customer’s fabric, leather or faux leather (the chair is provided already fitted with the cover). 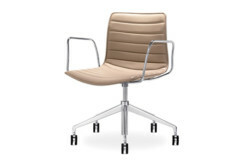 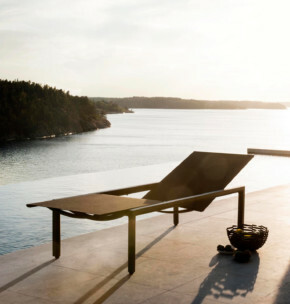 Optional steel armrests, also with polypropylene or upholstered pads, are available upon request. 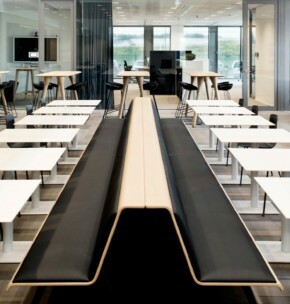 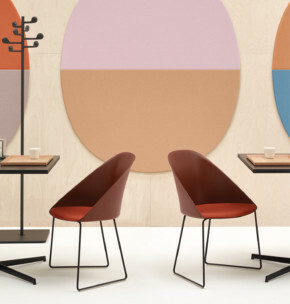 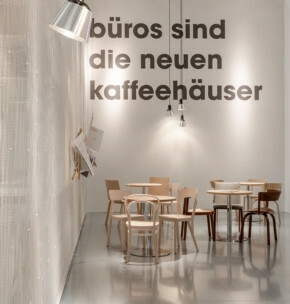 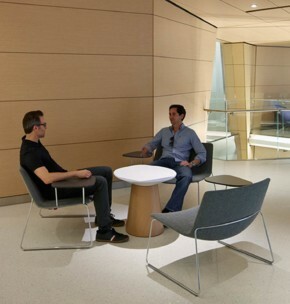 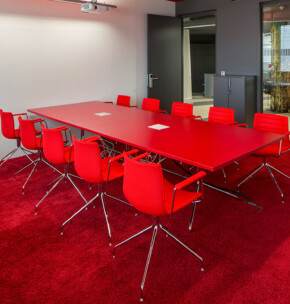 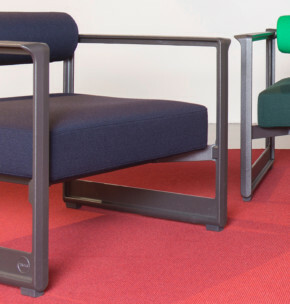 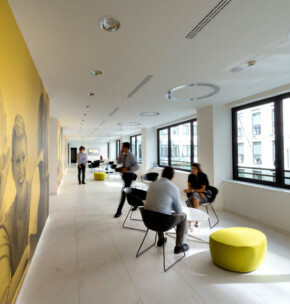 The colorful new headquarters of Austrian Federal Railways was furnished with chairs and tables from Arper.